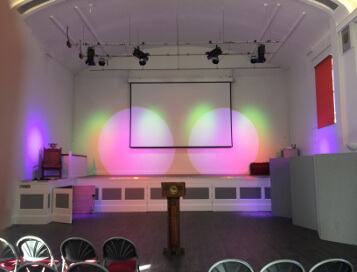 The historic Old Town Hall in Slough has recently been converted to form a new campus for Claycots School, with a blend of traditional features and contemporary redesign. 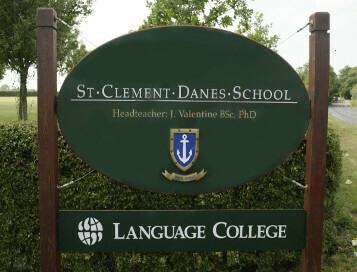 A second phase of work saw the expansion of the building with a modern addition to the learning space. 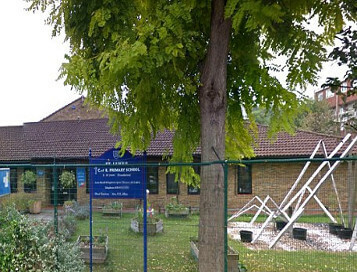 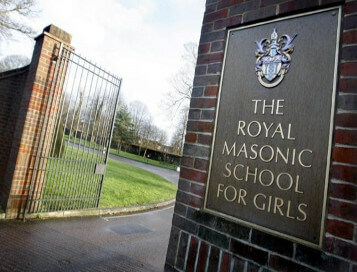 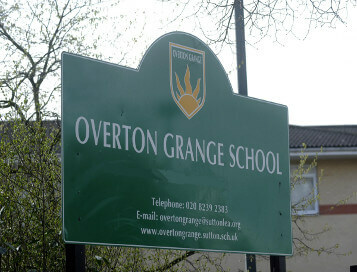 This expansion has made Claycots School the largest primary school in the UK. 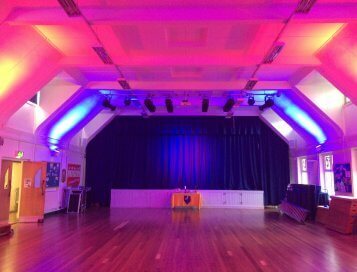 The new annexe, named the Town Hall Campus, included a Main Hall for which sound, LED theatrical lighting, projection, portable staging and portable drapes were required. 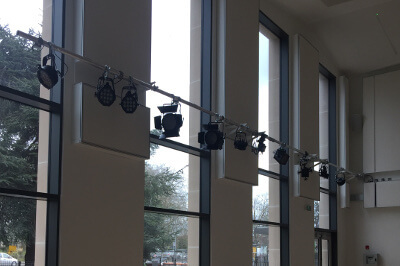 For flexibility, Clarity recommended the school purchase a portable sound trolley with a Sennheiser microphone system including handheld and over-ear microphones, media player, four loudspeakers and a package that allows the system to also be used outdoors. 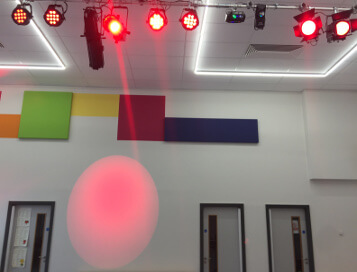 A totally LED theatrical lighting system with a quantity of lanterns was installed on two lighting bars with a digital control desk and wall mount control panel. 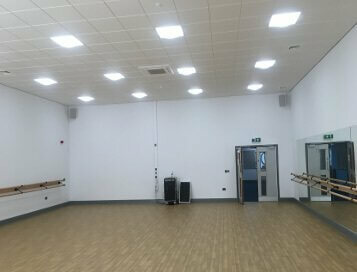 Using LED will mean long term savings for the school as the lanterns cost considerably less to operate and the LEDs last at least 20,000 hours. 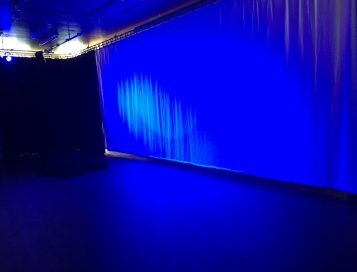 To make operation of the sound and the lighting systems thoroughly versatile they can both also be wirelessly controlled from an iPad. 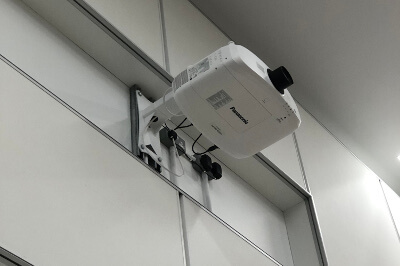 A high-power projector with long throw lens was wall-mounted in the hall and a 4m wide electric, remote-control, projection screen installed. 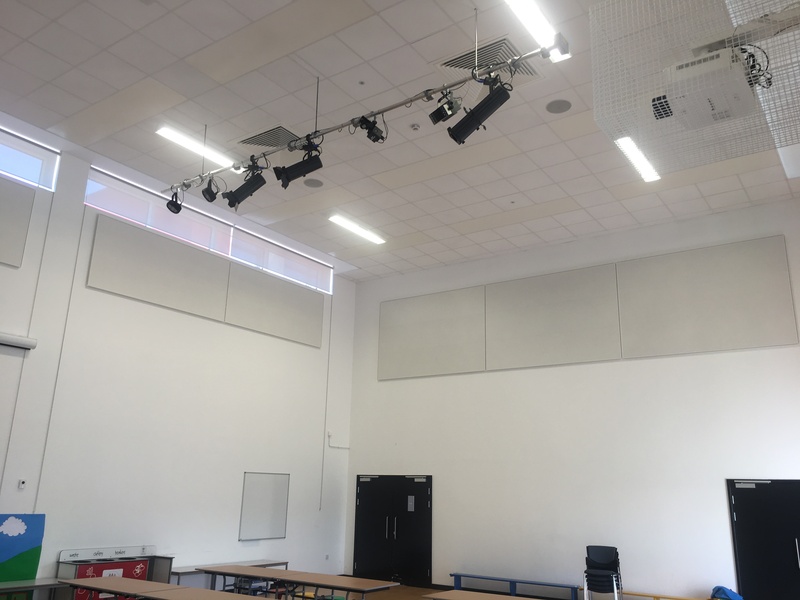 Portable staging with variable heights and reversible tops (wood one side, carpet the other), steps and transport dollies, plus portable drapes to use as a rear backdrop up to 12m wide completed the facilities for the new school hall.